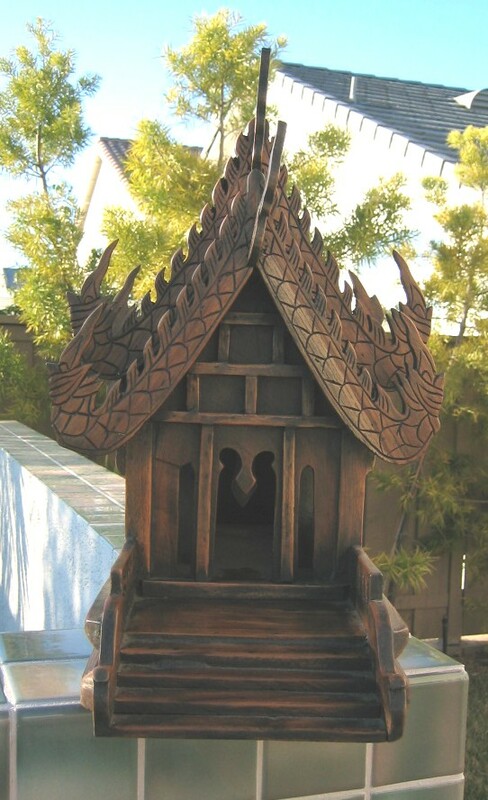 Hand carved Thai Spirit House. 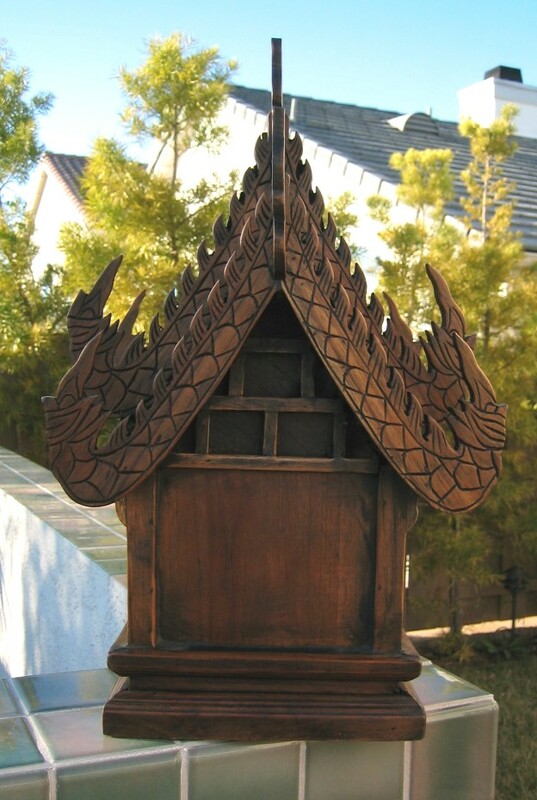 Intricately carved in Thailand from teak wood with traditional stairway and adjustable horns. Measures 18.5" long, 17" high, 12" wide from horn to horn.